The Seahawks running back is locked in an expensive battle with the NFL that is unlikely to be resolved anytime soon. 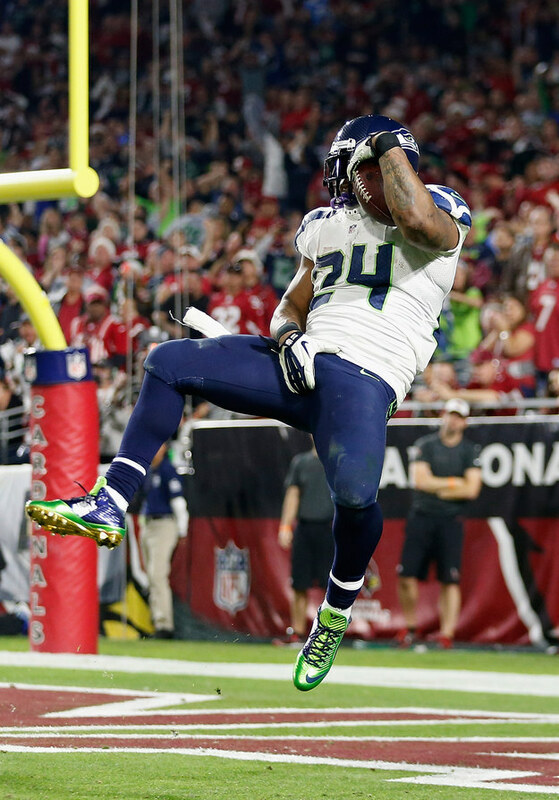 At least Marshawn Lynch is consistent. Marshawn Lynch again is being fined for grabbing his crotch after scoring a monster touchdown during the NFC Championship game and will be fined once again for refusing to speak to the media after a game. This time, he’ll pay $20,000 for the “obscene gesture” and the NFL is threatening to fine him “significantly more” than the $50,000 Lynch has already paid twice for ignoring media obligations. The NFL has spent much of the 2014 season scrambling to update policies after they’ve been revealed as weak and inconsistent, and the revised policies will benefit the players, teams, and leagues. But as the 2015 Super Bowl comes to conclude the NFL’s craziest season, the NFL’s predilection for highly subjective discipline at the hands of its commissioner remains evident in non-football fines. Marshawn Lynch’s $100,000 fine for two combined incidents in which he refused to speak to the media stands as the highest fine during the 2014 season for a player who was not also suspended. Put simply, only players who used performance-enhancing drugs (PEDs) or assaulted their loves ones and subsequently lost weeks of their salary paid the league more than Lynch. Is a player’s refusal to speak to reporters really worthy of a higher fine than a blindside block ($22,050) or a horse collar tackle ($16,537)? At the beginning of the season, the NFL releases its list of standard fines for on-field football violations. The amounts hover around three increments: $8,268, $16,537, and $22,050. How the NFL decided on those is unclear. Reflecting on the league’s wonky personal conduct policy and PED/illegal substance policy, it seems the on-field football fines were once the NFL’s strongest showing of consistent punishment. 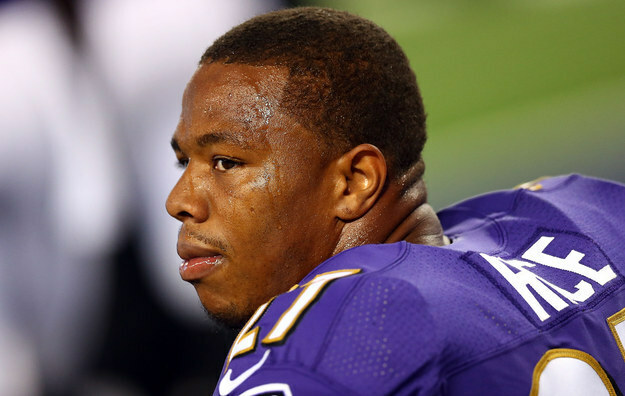 When Ray Rice was initially disciplined for his domestic assault incident last February, he was handed a two-game suspension and a $58,000 fine. Shortly after, when TMZ released a full surveillance video from the elevator, Rice was suspended from the league indefinitely and Commissioner Roger Goodell admitted that they had gotten Rice’s suspension wrong. As a result, the personal conduct policy under which Rice was punished has been highly revised, and players are now sent to the paid-leave purgatory known as the Commissioner’s Exempt List. 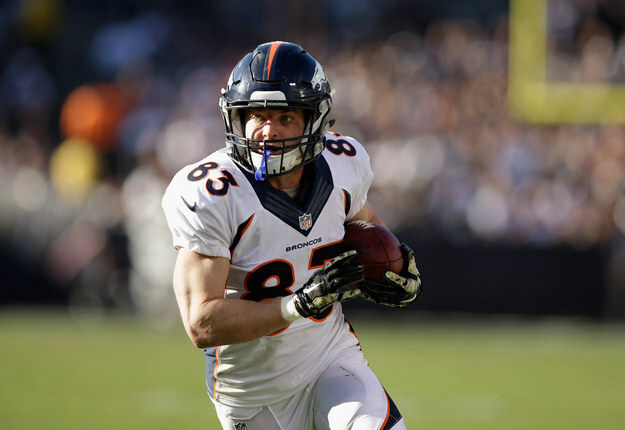 Other notable fines this season include Wes Welker’s $50,000 fine for taking ecstasy, and Josh Gordon’s $81,746 fine for testing positive for trace amounts of marijuana for the second time in his career. These fines, and the subsequent suspensions, prompted the league to finally make a distinction between recreational drugs and PEDs. Though uniform violations are standardized at the beginning of the season, they represent another realm in which the NFL regulates the non-essential parts of their players’ jobs. The uniform requirements serve a fine purpose: A mismatched team sort of ruins the illusion of one impenetrable unit. But earlier this season they fined Colin Kaepernick $10,000 for wearing Beats By Dre headphones before and after the game. 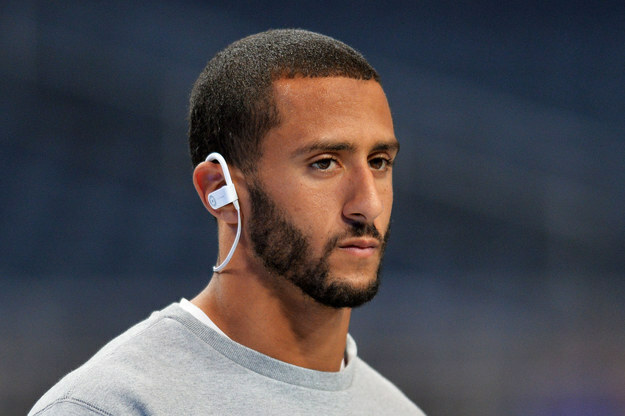 The NFL is sponsored by Bose, but Kaepernick (along with a few other players) are sponsored by Beats. Prior to last week’s NFC Championship game, it was reported that the league had threatened to restrict Marshawn Lynch from playing in the game if he wore a pair of all-gold cleats. Cleat substitutions are permitted if the player clears it with the league ahead of time, which Lynch presumably knew, but to eject or possibly suspend Lynch for wearing gold cleats would be a power play by the NFL that would have major ramifications on the outcome of the game and the quality of the entertainment they facilitate. In repeating the same behaviors that he’s been punished for already, Marshawn Lynch knows what he’s doing, and he knows what to expect. His job requires him to speak with the media and act in a way that the league arbitrarily determines as positively representing their sport. The media availability requirement may be a silly job requirement, but it’s a pre-established expectation nonetheless. Is it a requirement that should be reconsidered? It might be, but it’s not the primary point of consideration when discussing how the NFL is choosing to punish Lynch. The league won’t back down. Lynch can keep crotch-grabbing and giving pointless statements — when he gives them at all — and the league will just increase their fines and punishment in corresponding increments.